Home » Blog » Entertainment » How to Watch the 2019 Daytona 500 without Cable? How to Watch the 2019 Daytona 500 without Cable? The most prestigious and exciting race in NASCAR is right around the corner. That’s right! The 2019 Daytona 500 is almost here. Each year since 1995, the Daytona 500 has had the highest TV ratings for any racing event in America. Even more than the traditional leader, the Indianapolis 500. Stock car racing is one of the biggest icons of American automotive culture. And the Daytona 500 is the Super Bowl of stock car racing. The Daytona 500 is held every year at the Daytona Speedway in Daytona Beach, Florida. Not being lucky enough to attend in person this year, I will catch the race day action on Fox on DIRECTV. If you don’t have access to a cable connection, this blog will tell you how to still tune in on race day. Here’s how you can tune in to the 2019 Daytona 500 with each of the ways mentioned above. Fox is available on every single DIRECTV Now plan. 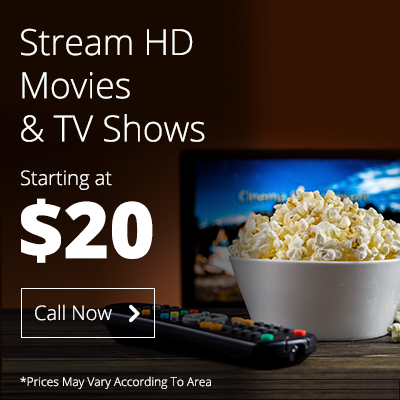 A basic DIRECTV Now plan starts from $35 per month, and you can customize it to add more channels. The best thing is, you don’t have to get a subscription to watch the Daytona 500. The service comes with a 7-day free trial. This means you can cancel your subscription after race day before the 7 days are up. Just be sure to get the timing right. The Fox Sports Go app will let you directly watch the Daytona 500 live stream. But there is one small snag. The app does not work without a valid cable subscription. There is no way to trick the system, nor should you. If you have friends or relatives who have a cable subscription, ask them for their account information. Use it to sign in on race day, and maybe take your savior out for dinner and drinks. Hulu is a popular streaming service that needs no introduction. But it’s not just about on-demand content. Hulu offers a live TV streaming package with Fox included in the lineup. The packages start from $40 per month and also has a number of other channels with great content. Like DIRECTV Now, Hulu with Live TV also has a free trial period you can use to catch the race. But if you are a cord cutter, this is one of the best services for you to keep. YouTube TV is a slightly pricey option, starting at $35 per month. However, the good news is that includes all the big sports networks. It has CBS Sports, 5 ESPN channels and, of course, 3 Fox sports channels. Unfortunately, YouTube TV does not come with a free trial period. So you may want to think long and hard before you commit to this service. Especially if you only need it to watch sports without cable. If you think antennas went out in the ‘90s, guess again. You can easily find an HD antenna that receives Fox for free. It simply catches the broadcast off the airwaves. All you need to do is hook it up to your TV. You can probably find a cheap HD antenna at your local electronics store. If you don’t have cable but still want entertainment, and HD antenna can save you a few bucks. PlayStation Vue is the priciest option on this list. The service offers a large number of channels but it starts at around $45 per month. This could scare many people away who would rather prefer Xfinity TV packages than pay for such an expensive service. Luckily, PlayStation Vue comes with a 5-day free trial period. Use it to watch the race and be sure to cancel afterward. Unless of course, you have no problem with using the service in the long run. Previous PostPrevious TDS Vs Charter Spectrum: Which Subscription Service is More Secure? Next PostNext How To Program DIRECTV Remote To TV?